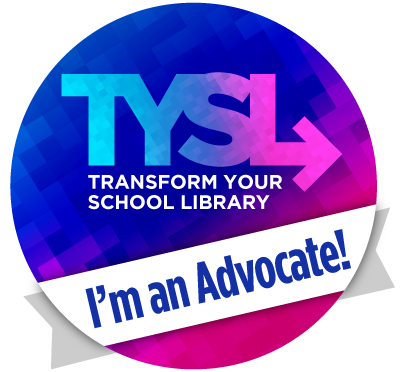 I attended a session about Nearpod at TCEA this year and I know a few of our librarians LOVE it, but I hadn't been brave enough to try it until now. Nearpod is an interactive presentation tool. It keeps the students engaged as the teacher controls the lesson from their computer or iPad. The teacher can push out content, activities, questions, polls and quizzes to each iPad. There are many already created nearpod lessons or you can customize your own. I decided to try this with kinder this week since they were still coming for a story, but not checking out, we had some extra time to try it. 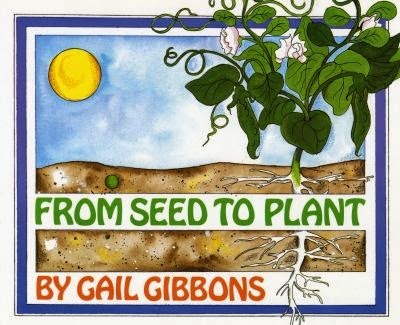 I created a very simple lesson about plants to complete after we read a book about plants. 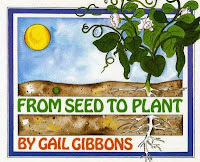 I chose From Seed to Plant by Gail Gibbons for our story. After we read, I passed out the iPads (one iPad for 2 students). I was projecting my iPad and controlling the lesson from my computer because I wanted to be able to model the different activities since we were doing it for the first time. The first thing they had to do was type in the lesson code and then their names. On my computer screen I could see as they entered their names. Then I clicked to turn the page on my computer which in turn changed the page on their iPads. Since we read the book first, I did not include any content in this first lesson. Each of the 4 pages was an activity. I included a fill in the blank activity of plant parts for the first page. An open ended question, "What do plants need to grow?" was the second page. The third page was an image I created in PowerPoint and saved as a jpg. 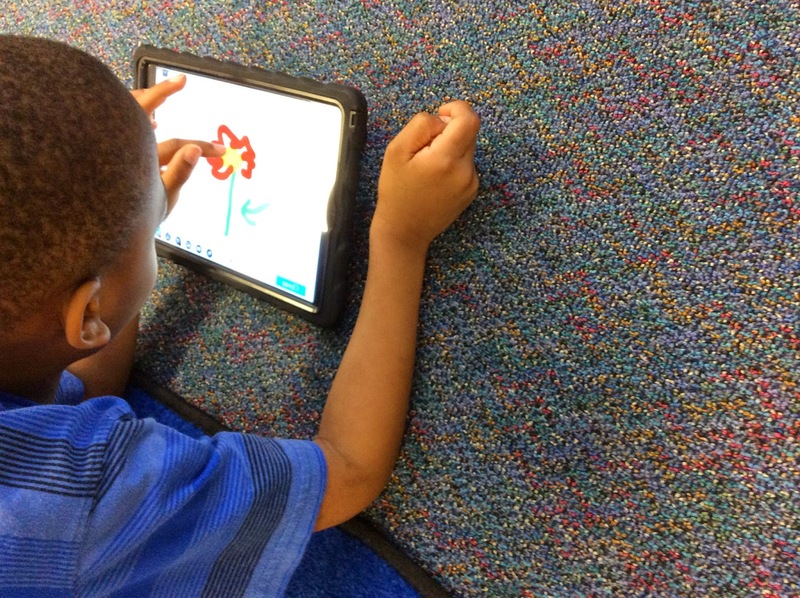 And the final page was to draw and label the parts of a flower. The students really enjoyed using this app and I thought it was perfect for immediate feedback since their submitted answers popped right up on my screen. Here are some of the things I loved about this. I controlled the pace. After each activity when students submitted their answer a "Thank You" screen popped up and they could not go ahead or back until I advanced it. I also liked being able to see who had submitted and who had not submitted as well as their answers. I loved that there were so many ways to assess... fill-in-the-black, quizzes, polls, drawings, short answer, etc. I will definitely be using this more next year. Teach me! Sounds like something worth trying next year. Love the fact that they can't move on ahead.